Designed and hosted an e-commerce store for our client, and designed several of their products. 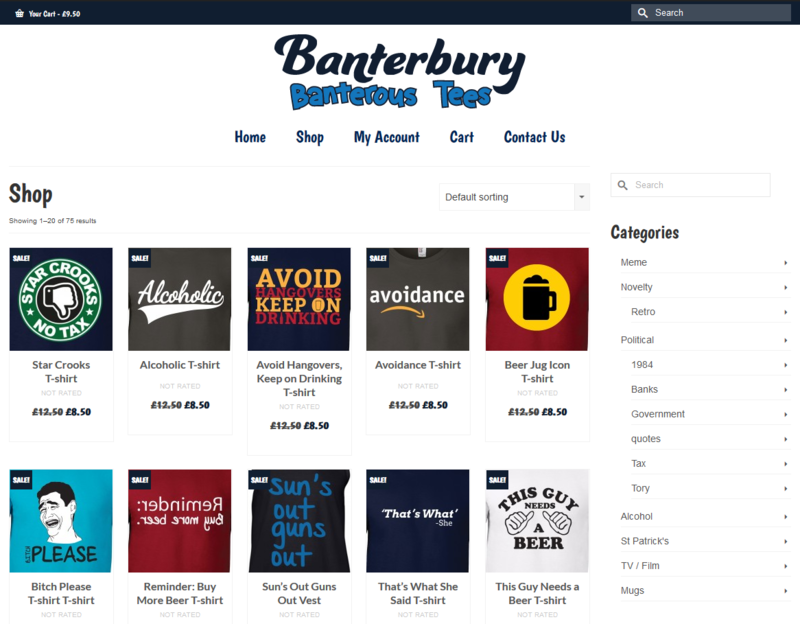 We worked with Banterbury T-shirts in the UK, to provide a fully responsive, mobile friendly, e-commerce store for their business. 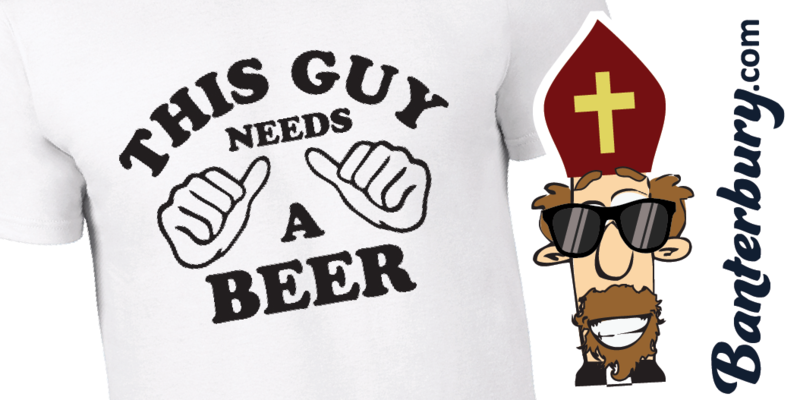 We liaised with a design partner to provide a number of logo samples, eventually creating the “Archbishop of Banterbury” logo that they use today. We created pixel-perfect social media banners and profile pictures, to give the best first impression of the brand. We discussed the various different e-commerce options for their online store, and decided that the most flexible method would be to use a woocommerce store. We registered their domains and provided the hosting for their website. Through regular consultation, we designed their e-commerce website; the colour scheme, the layout, the shop page and cart page – completely to their specification. We created a number of headline banners to use on their front page, and created several of their novelty t-shirt designs.